Today’s Senior Citizens in Israel have given so much to their country. Through their hard work and determination, the country has grown and blossomed into the miracle we see today. There are seniors in need of extensive dental treatment, while others require assistance for medically-related expenses. Still others suffer from dementia and require specialized care. When finances are tight the elderly tend to cut expenses by neglecting their homes, and turning off the heat. They may not even have the funds they need to buy basic food. You can ease their pain and provide them with what they need. 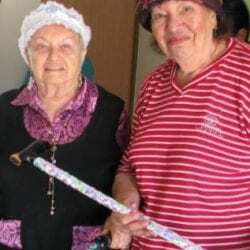 The senior citizens of Gush Etzion want to live out their golden years in dignity and comfort. They have given so much to build Israel and now you have an opportunity to give something back to them. Will you help these amazing seniors with dental care, hearing aids, home repairs and heating costs? Will you provide a safe environment for seniors with dementia?